1 How to activate Banglalink Free Facebook Internet Offer 2019? 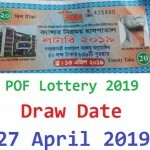 Banglalink Free Facebook Offer 2019 – Daily 300 MB Free! Hello Dear, Welcome to Banglalink Free Morning Facebook Offer Activation Process, Validity, Uses Terms and Conditions. In the month of December, 2018 the Banglalink Company lunches a free faccbook browsing offer for their valuable customers, whose name is Banglalink free Facebook Offer from 6am to 10am every day. If you are a Banglalink Customer and want to enjoy the Banglalink Morning Free Facebook Internet Offer? Just staying with us and continue reading this content. 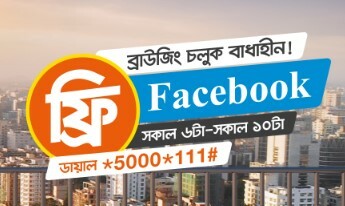 How to activate Banglalink Free Facebook Internet Offer 2019? To activate the 6am to 10am Banglalink free Facebook offer, customers need to dial USSD code *5000*111#. After dialing this code, you will received a confirmation message where you know the offer activation details information. Prepaid and call and control subscribers can avail to enjoy the Banglalink Free Morning Facebook Offer. To avail the offer, subscribers needs to Opt-in by dialing *5000*111#, after opting in once, the subscribers can use free Facebook from 6AM-10AM every day during the campaign duration. To check BL free Facebook usage, subscribers need to dial *124*101#. The daily quota for Free Facebook is 300MB. After 300MB subscribers will be charged. Thanks for staying with us a long time and visiting Banglalink Free Morning Facebook Offer Activation Process, Validity, Uses Terms and Conditions content. If you have any question about the BL Free Facebook Internet Offer? Just comment here, we reply as soon as possible.